Now that comics look normal again, updates may slow down to once per week... especially now that I have access to the StarCraft 2 Beta. I will still be updating on Sundays, though, don't forget! 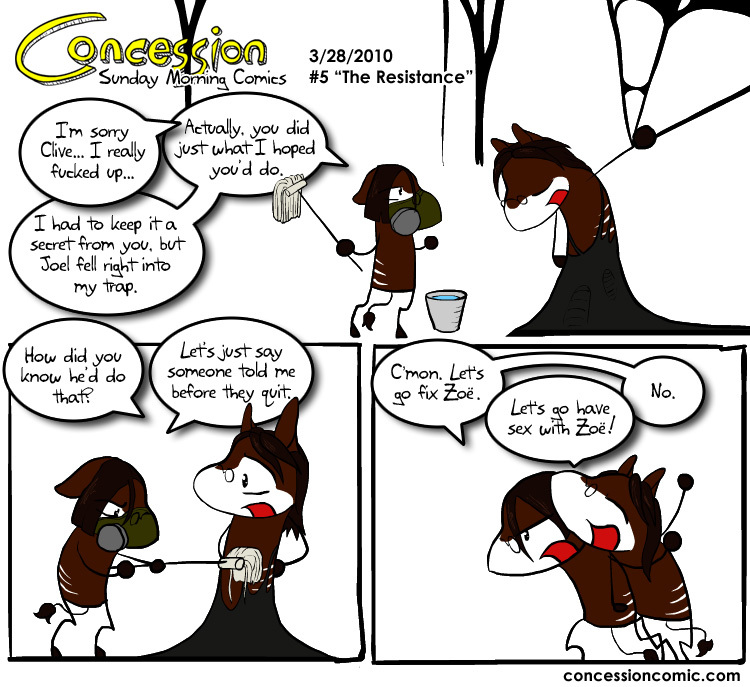 If you look through the archives, you'll notice a "Transcribe this comic" link at the bottom. I've re-instated the Oh No Robot comic transcribing system, wherein readers write out what happend int eh comic to build a searchable database for the comic. The search bar in the Concession archives is pretty out of date, so maybe you could help and transcribe some comics?